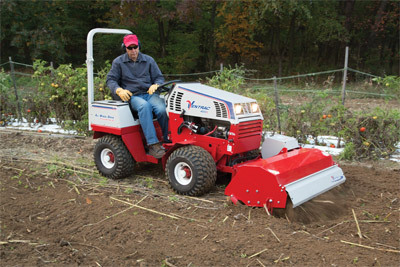 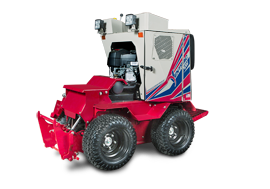 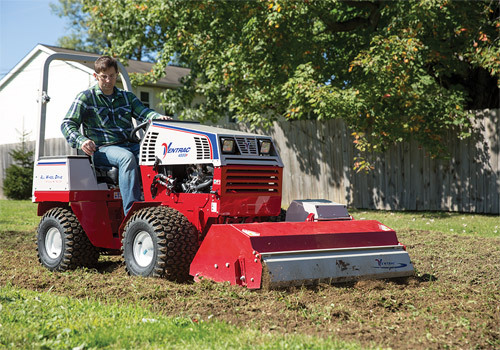 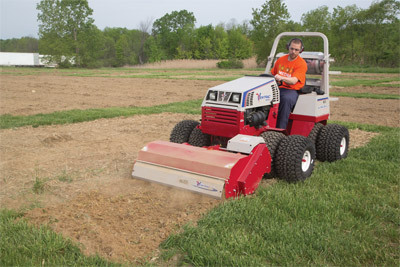 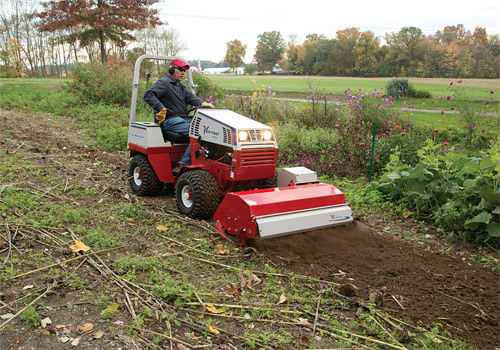 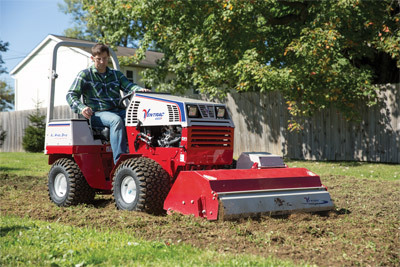 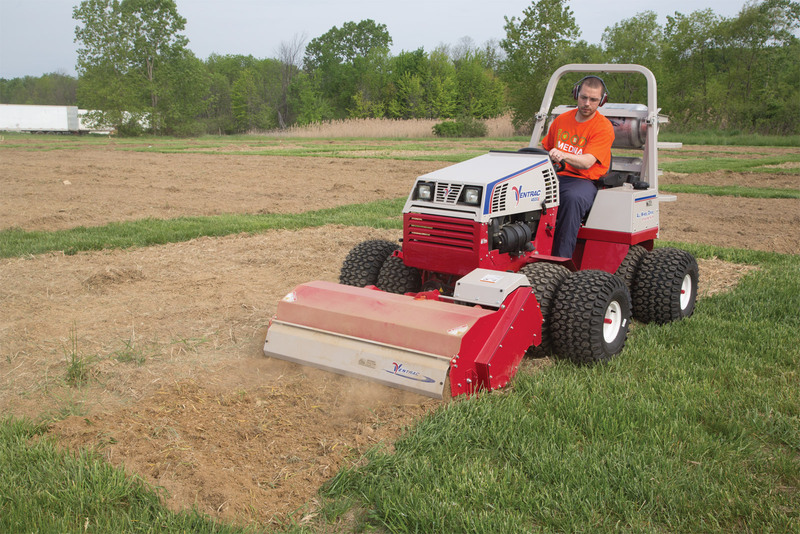 The KL480 Tiller is designed for easy preparation of gardens and yards. 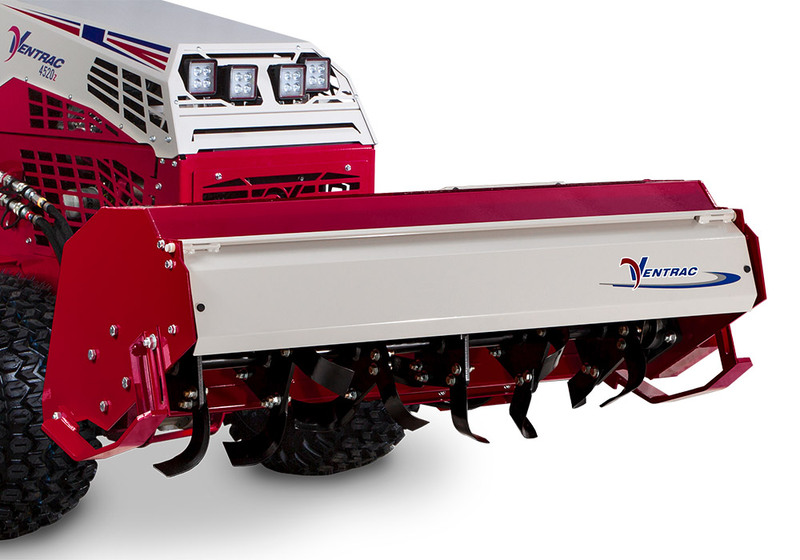 This power-driven front-end attachment allows the operator to easily monitor the Tiller's performance. 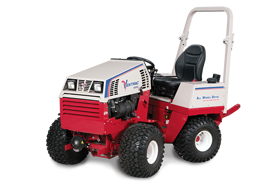 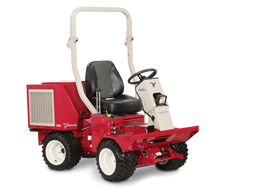 Designed with the Ventrac Mount System, the Tiller can be attached in a minute or less and comes with a stand for storing the Tiller when not in use. 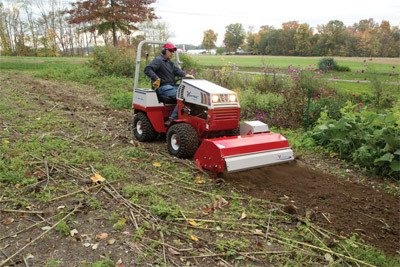 A number 80 chain in an enclosed final drive is lubricated for heavy-duty performance. 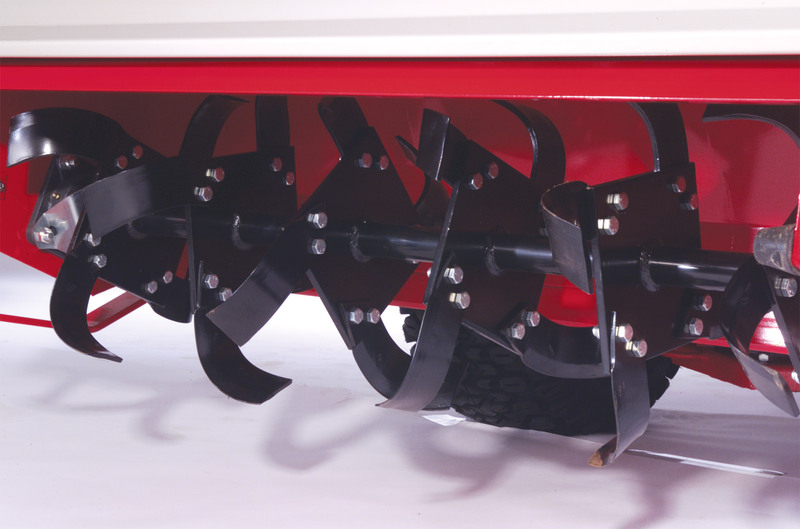 Skid shoe adjustments facilitate cutting depth. 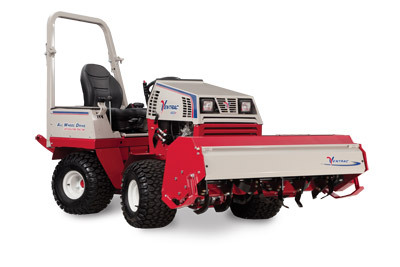 Twenty-four high carbon steel tines are sequentially spaced to provide smooth and efficient tillage. 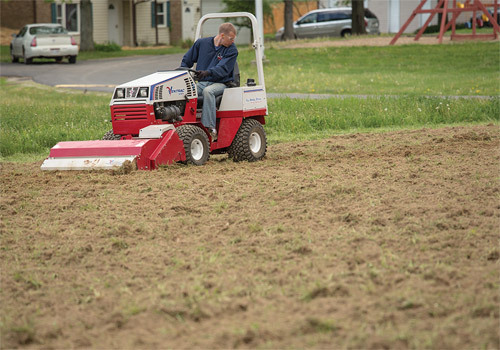 Ventrac is a proud sponsor of Feeding Medina County and their new community garden initiative. Enlarge Picture / Press Link · KL480 Tiller Closeup - Closeup view of the Tiller tines. 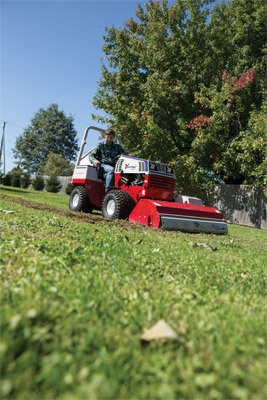 Enlarge Picture / Press Link · Ventrac 4500 using the KL480 Tiller - The Ventrac Tiller can even dig into grassy turf to dig new gardens or flower beds.